OPEN SOURCE CMS FOR Website DESIGN, DEVELOPMENT & MANAGEMENT. Brand Core Media’s open source CMS (Content Management System) solution is specially designed for the organizations in Ahmedabad looking for affordable internet presence and online storefront website that they can afford for. Website design with open source content management system done by Brand Core Media comes with bespoke administration panel offering best of the website content editing with ease. Also our website design done in Ahmedabad comes with latest usability standard, search engine supportive features and social media integration for getting higher traffic on your website and generate better ROI for your investment. We are an integrated design & branding agency in Ahmedabad. We will help your brand to stand out. Brand Core Media is one of the top rated website design company in Ahmedabad with professional team of people and experience of serving diversified customers from different business profiles. Our E-Commerce Web Development for organizations looking to sale their product online is prebuilt with custom shopping cart and payment gateway integration to offer safe online transaction. We also modify open source CMS website for bespoke requirement of product or services with functionality of easy to manage, flexible and open for future changes. Also we offer open source Content Management System that is responsive for mobile and tablet usage and can be accessible for usage on the go. Open source CMSs like WordPress, Joomla, Magento and Drupal are best known for their features of creating a website that is easy to manage. It gives you freedom from much difficult HTML and CSS coding for making changes and adding new content or pages to your website. Also such CMS when come with custom theme for website design makes very easy for administration to select the layout and easily publish the pages on current website. Also it allows organizations and brand owners to get their website online with good looking layout that is perfectly built with lesser amount of money and in short duration as well. Functionality of most of the open source CMS allows you to create a website for any of the specific purposes. However, it is not that easy to select the right open source CMS for your website design process and before opting for any one out of all available, one need to assess lot of parameters. Almost all open sources Content Management System has its advantages and disadvantages to consider for. Some of them like WordPress are good for search engine optimization while others like Joomla and Magento are good for creating online stores. Many of them also come with WYSIWYG editor for easy design management. 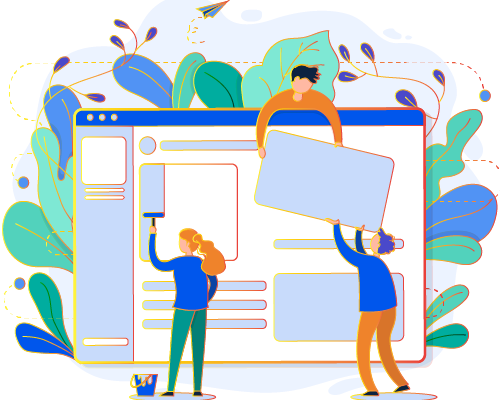 While planning for open source CMS or suggesting it any customer we understand that business owners are busy professionals and maintaining and upgrading website is not the only task that they do with priority. We also consider that most of them are not that good with managing technical stuff that requires managing websites like programming languages, CSS, HTML, JS and more. However, it is very necessary for any website owner to make certain changes on a regular basis and keep site refresh for search engine perspective. Also visitors of website always look to get some new information every time they visit. With open source CMS designed by Brand Core Media, it becomes very easy for website owners to manage site and keep doing changes that they are looking for. Hey! Are you looking for CMS web design company in Ahmedabad? Easy to create new pages and putting into any hierarchy of website navigation where you want it to be published. Easy to edit current content and adding new in terms of pages or into existing pages. Easy to mange media files like images, sound file and videos to publish on website. Design content editor with WYSIWYG. Providing secured access to some pages for reserved view. Availability of ready to use plug-ins and add-ons for specific functions. Easy integration of social media. With all these aspects and more features that can be totally customised as per the requirements, Brand Core Media’s open source content management system website provides search friendly and performing solutions for business owners of all sizes and verticals.